Anyone know what this one is called? That looks like a green zebra to me. 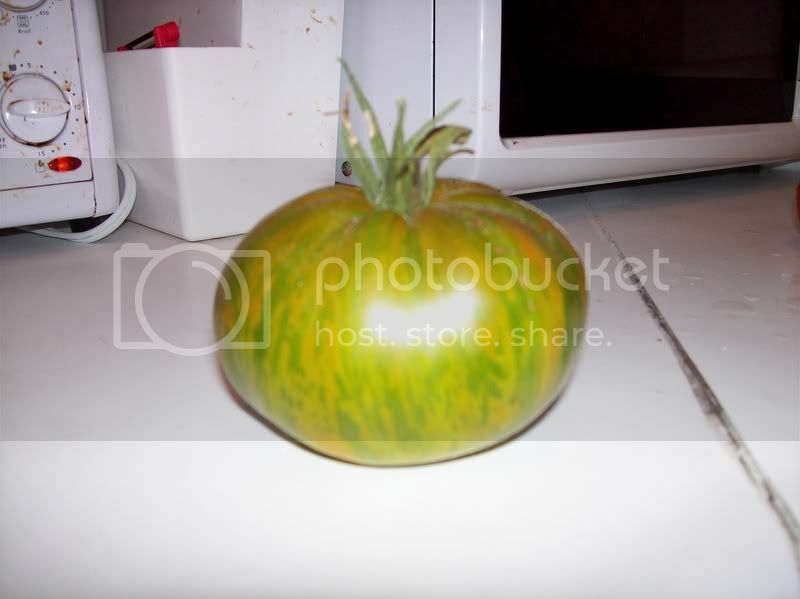 I grew them a few years ago, they are really tasty but, didn't ripen until late October/early November. That's interesting, it sure looks like a green zebra. 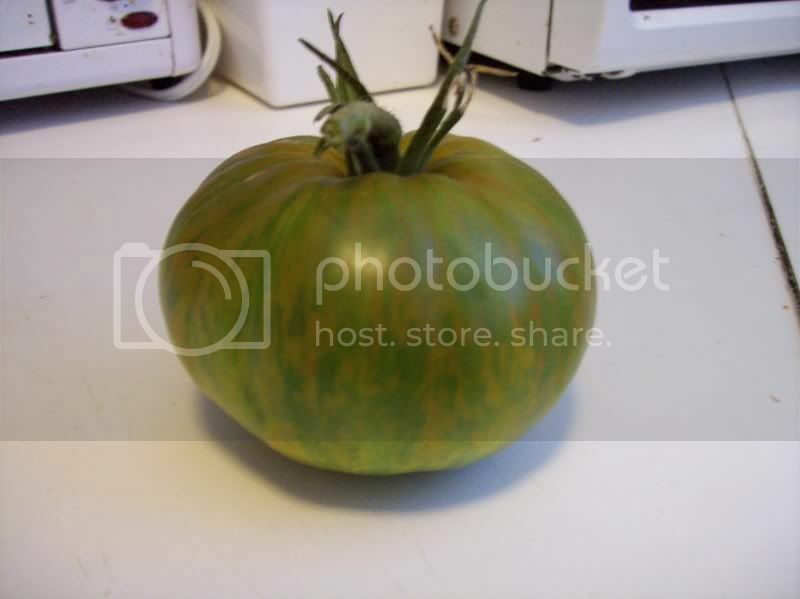 You know, there are about (at least) 5 different types of zebra tomatoes so, I'm still going to put my money on a zebra tomatoe. Aaaand its ripe! im gonna have me tasty salad with this one! might add a couple more once I cut into it! Let us know how it tastes! Mine were wonderful. sorry... no pics... soo tasty it didnt last long at all! now the wait for the next ones to ripen begins! ok, last pic... its finally the end of the season for my tomato plant and these are the very last tomatoes i got... here goes, and again if anyone knows what this one is called that would be awesome! 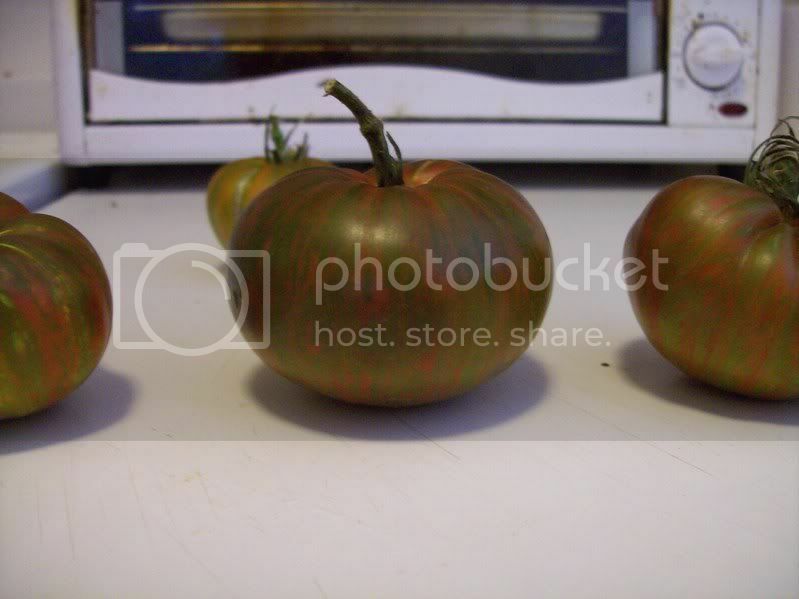 And then, a year from now to make Black Tomatoe sauce and Green tomatoe sauce. I made 12 liters of just regular tomatoe sauce each with a few black tomatoes in them but, next year I want to make some nice colourful stuff. 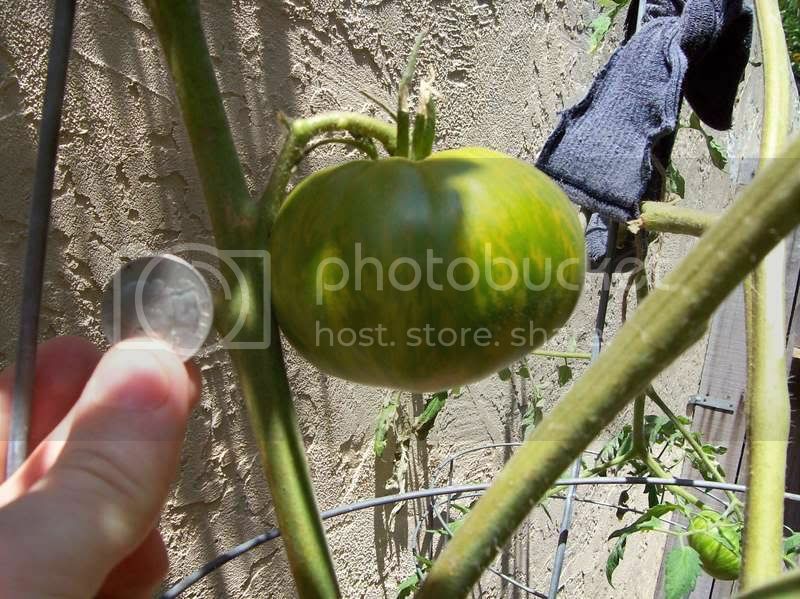 I have grown this tomato for the last 4 years, I purchased a 4" plant at the Fullerton Monster Tomato Sale and it was labeled "Tigerella". Very prolific! Tons of tomatoes every year.